This week for Anime Sunday I’m covering one of the last series I watched this season. It’s my Kujira no Kora Episode 01 Impressions! Plot: The plot is very mysterious and I got immediate Shin Sekai Yori vibes from the story. Whether the story ends up going in a direction similar to that particularly depressing series I have yet to determine, but I’m absolutely not hopeful for a happily ever after ending. I won’t go too much into the plot, but I will say I’ll probably end up watching this later when I’m not so stressed out with life, the Holidays are supposed to be relaxing right? Characters: The main character Chakuro seems to be a bit of a misfit, actually no he is definitely a misfit. He is deemed too emotional by those around him and that gets in the way of his job on the Mud Whale as the Archivist, who must record his observations without emotion according to the rules set down by the elders. The rest of the cast is also fairly interesting. Art: The art is pretty good, not ufotable quality by any means, but it’s definitely not poorly done either. Music: It fit the series very well. Overall: Worth watching at least the first episode, though whether you should continue or not I’ll leave up to you and how well you handle depressing stories. For those who like: Mystery, Drama, Sci-Fi/Fantasy, Action, Adventure?, Interesting Plot, Good Cast of Characters, Average Artwork. Not for those who don’t like: Any of the above, or possibly overly depressing stories. Hey all I’m back with a look at this seasons offerings for Anime Sunday. It’s my Most Anticipated Fall 2017 Anime! Mahou Tsukai no Yome: I love the Manga, so I’m looking forward to watching the Anime of this. I know I’m not alone in this since it’s been repeatedly in the top 5 most anticipated on various sites around the world and Japan. It’s a romance, so don’t expect a lot of high tension action. Juni Taisen: This is an adaptation of a Light Novel by Nisio Isin, creator of the Monogatari series so I’m expecting this to be just as crazy. It’s probably going going to be more action filled, given the nature of the name which literally translates to Great War or Battle of 12, or Zodiac Wars as it’s been localized by others. Dies Irae: This is an adaptation of a Visual Novel so I haven’t experienced the source material yet. That being said I might be interested depending on how well the Anime draws me in. 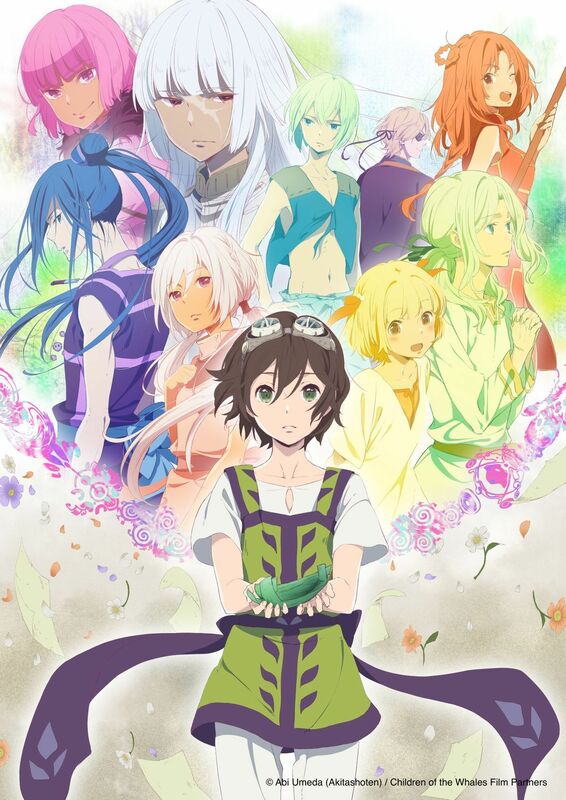 Kujira no Kora: This is an adaptation of a Sci-Fi Manga, which I haven’t read, so I’m looking forward to watching this as well. Like with Dies Irae I might take a look at the source material if the Anime gets me hooked. Fate/Apocrypha: I’ve always had a soft spot for the Fate series, so I’m looking forward to watching the 2nd cour of this. 3-gatsu no Lion: The second season of this airs this season as well, and I loved the first season. Ballroom e Youkouso: This also is continuing, so I’m looking to watching more of the series. UQ Holder: This is an adaptation of the Manga sequel to Mahou Sensei Negima, a series I started reading way back in 2008 so I’m a bit excited for this Anime. That being said I’m afraid it’ll fall into the trap of going full Rom-com instead of focusing on the action. We’ll see. Yuuki Yuuna: This was a pretty good series based purely off the first season, so now that the second season is airing this Fall I’m hoping the second doesn’t disappoint. Fate/Stay Night [Heaven’s Feel Film 01: Presage Flower]: This is a ufotable production, and while there are two more movies before they finish the adaptation of the third and final route of Stay Night, I’m still going to give it a shout out. If you feel really adventurous you might want to look to see if there are any screenings in your area (There are some in the US). That’s it for this week’s Anime Sunday. Any series you are looking forward to watching? Leave your answers in the comments below!